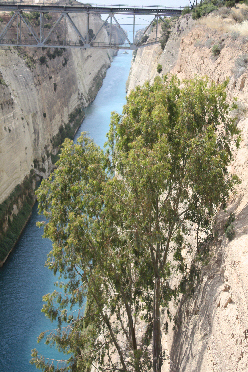 Wednesday fly to Athens on Aegean Airways at 1210 from Terminal 2, Heathrow. Coach to Hotel Cypria, just off Platia Syntagma and a few minutes walk from the Akropolis (about one hour from the airport). Thursday We will spend the day in Athens. 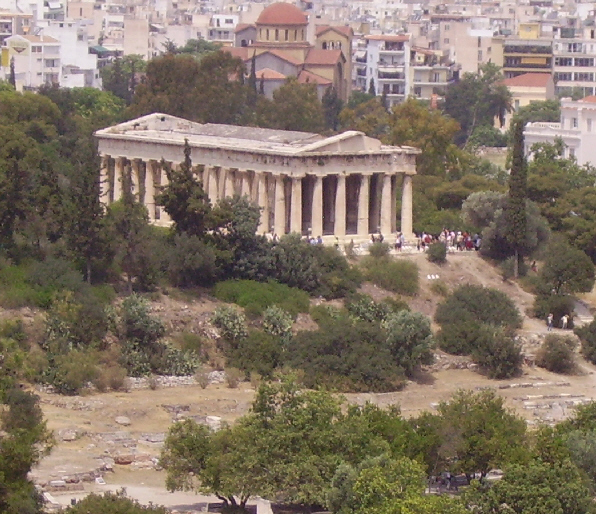 In the morning we will walk through the Ancient Agora to see the Hephaiston, the most complete temple on the Greek mainland and then make our way up to the Akropolis where the famous buildings, including the Parthenon and the Erechthion, never fail to thrill. After a break for lunch we will visit the new Akropolis Museum; it is truly superb. 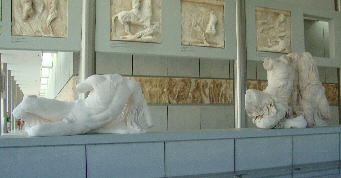 The sculptures from the Parthenon, those which escaped the attention of Elgin and others, are most imaginatively displayed, in the relative positions in which they were placed on the Parthenon, with natural light from a huge glazed wall which looks out onto the Akropolis and the Parthenon. It is worth coming to Greece for this museum alone! 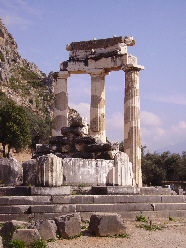 On Sunday we visit the site of the ancient oracle and sanctuary of Apollo, a short walk from our hotel. With mountains towering above the sanctuary (sometimes with eagles soaring above) this is a truly dramatic place. 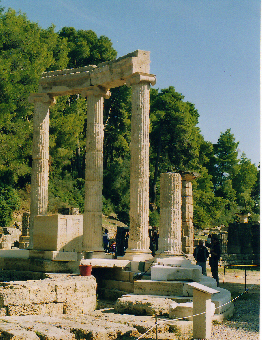 The 4th century BC sanctuary was the most famous of the cult sites in Greece. Among the many treasures in the museum are the fabulous bronze charioteer & some stunning gold & ivory items and beautiful archaic sculptures. The site which is within walking distance of our hotel, opens at 0800. 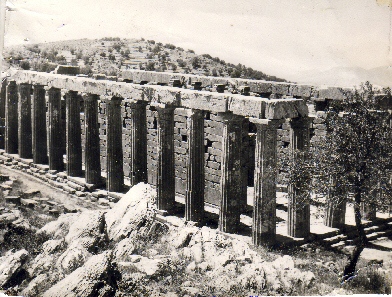 On Monday we visit the wonderful & atmospheric site of Olympia, the 5th century BC Sanctuary of Zeus, the stadium where the first Olympic games were held in 776 BC, and the museum where you will see some of the superb sculptures from the temple of Zeus and the famous statue of Hermes by Praxitiles. The site is within walking distance of the hotel so you can go as early as you like! 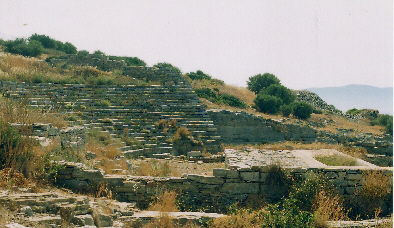 Wednesday After a morning in Nauplion we will go to nearby Lerna, where Herakles tackled the Hydra, to see remains of a house built around 2200 BC then visit 'wall girt Tyrins' and the magnificent theatre & Asklepion (healing sanctuary) at Epidavros. 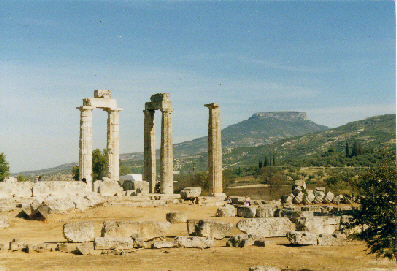 Thursday We will leave Nauplion after breakfast for Ancient Corinth, site of one of the oldest temples on the Greek mainland, and the important Roman city where Saint Paul preached. 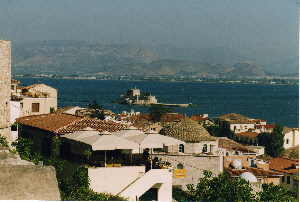 We will then have lunch on the Gulf of Corinth at Loutraki before going to the airport for the early evening flight back to Heathrow. Please note: We will give you a time to be back on the coach at each site. Feel free to join in a group or to wander at your own pace; you will have detailed information on each site. There is no pressure to do anything. Also although 'guiding' is forbidden Jane is always happy to answer questions at the sites. Mary will help you with queries on hotels and 'domestic matters'.